Car Rental Washington Dulles Airport - Avail Great Discounts! Van rentals, convertibles, luxury cars, SUVs and sports cars are some of the most popular & highly rented categories at the Washington Dulles International Airport. Rent a car for Washington Dulles International Airport in just three quick steps - search, compare, reserve! Cancel your Washington Dulles International Airport car rental for free, up to 48 hours before the pickup time. USA Cars Rental is famous for offering reasonable Washington Dulles International Airport (IAD) car rental car hire services. We are having affiliations with various Washington Dulles International Airport car rental suppliers. With us, you enjoy an access to the discounted Washington Dulles International Airport car rental offers, which have been specially customized to meet your needs and requirements. In addition to this, you also enjoy inclusions like – roadside assistance, unlimited mileage, collision damage waiver, and vehicle theft waiver. Washington Dulles International Airport is situated twenty six miles west of the busy principal business district of Washington D.C. in Dulles, Virginia. 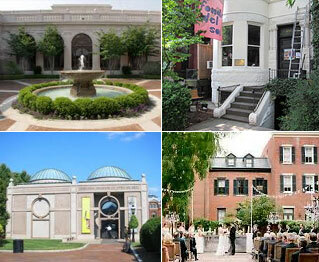 It serves the metropolitan area of the greater Washington. This airport is named after the United States Secretary of State, Foster Dulles who served under Dwight D. Eisenhower. The main terminal of Dulles, designed by Eero Saarinen, is a renowned landmark. Dulles airport covers a huge area of 11,830 acres, straddling the borders of Loudon County and Fairfax County, Virginia. This airport is positioned between 2 unincorporated communities, Dulles and Chantilly. The airport is located southwest of Sterling and west parts of Herndon. If want to travel around Virginia, renting a car is the best choice. Metropolitan Washington Airports Authority operates Dulles International Airport. This airport is served by several International as well as U.S.-flagged carriers. The airlines provide non-stop services to more than forty international destinations and eighty domestic destinations. United Airlines handles most of the commuters in the airport and it is followed by JetBlue and American Airlines. The central terminal houses baggage claim, ticketing, Z gates, U.S. Customs and Border Protection, and other facilities. Dulles airport uses the “mobile lounges” known as “people movers” or “plane mates” to transfer commuters between the midfield concourses and the main terminal and for disembarkation and boarding from aircraft. You can easily hire a car from the car rental agencies located near the airport. Baltimore – I-495N and I-95N will direct you to this city located approximately 62mi away. Washington DC -Take the Dulles Access Rd and I-66E to reach Washington City which is 23mi from IAD Airport. Norfolk – Reach the Norfolk city by following I-95S and I-64E routes. The city is approx 160 mi away.